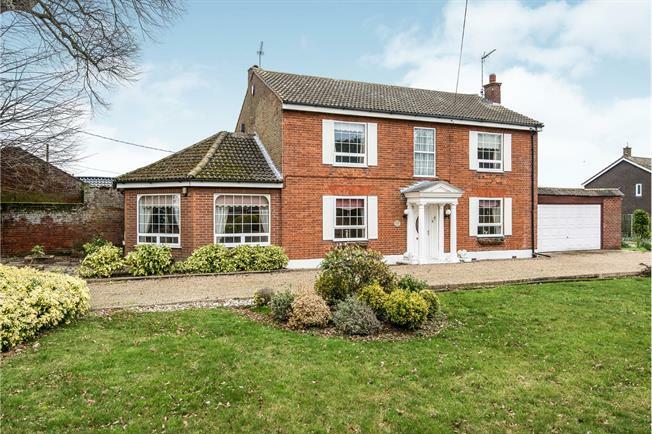 3 Bedroom Detached House For Sale in Norfolk for Guide Price £575,000. A plot of half an acre in a desirable location in which to modernise an existing property or redevelop the site. Old Catton which derives its name from Saxon times is well known as the area favoured by some of Norwich's most influential families who located their family residences in the area during the late 1700's. Set around two miles north of the city centre the area retains a feel of the village that it once was. The three open space of Catton Park, the Deer Park and Buttercup Meadow are an essential part of what make the area feel different. Today there is a primary school and nursery, medical practise, dental surgery and a number of convenience stores and public houses. The city centre can be reached by bus or by car in around fifteen minutes and there is easy access to the Airport. The location is perfect to enjoy the North Norfolk Coast with its wildlife reserves & golden beaches along with the Norfolk Broads. Offering huge potential this substantial, detached house sits within the upper end of St. Faiths Road leading into the countryside approaching Spixworth. Laying centrally within a plot closely approaching half an acre the property would benefit from modernisation and offers developers scope to reconfigure the current accommodation to create a bespoke architect designed house. There could also be opportunity to demolish the existing house and develop the plot with several new homes subject to planning being granted. An exciting proposition for buyers wishing to invest in a site within one of the areas best regarded roads.